I love dresses and would wear a dress everyday. Why don't I??? This particular dress is by Gretchen Scott designs, its the Linen Cuff Dress. They have tons and tons of beautiful dresses for summer, and for a girl who does not like black look what I grabbed. www.gretchenscottdesigns.com I ordered the Gretchen Scott dress and a Lilly Pulitzer, time to get ready for summer. Wrap dresses are great casual dresses with a little preppy flair, I love this one and it's super affordable, available online from Talbot's, machine washable and comes in four colors. This would look great with sandals and a Bossom Buddy Bag (I'll show a pic). 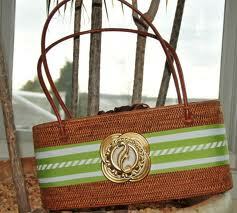 Bossom Buddy Bag, they come in tons of styles, with or without ribbons, with or without embellishments. They are a summer MUST have. Fornash, www.Fornash.com makes some of the best looking, inexpensive, fun jewelry (they have been on the O list a few times). 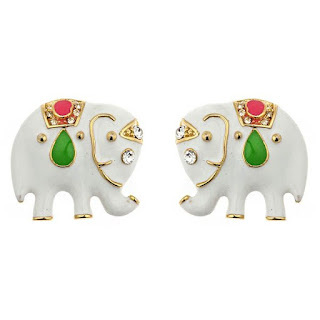 I love the little elephant earrings. 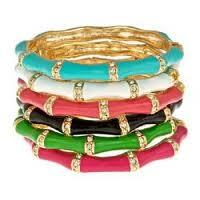 They are enameled with great details, $28, available in black (but you know how I feel about black). I love white jewelry for summer. It looks crisp, clean and very fresh. 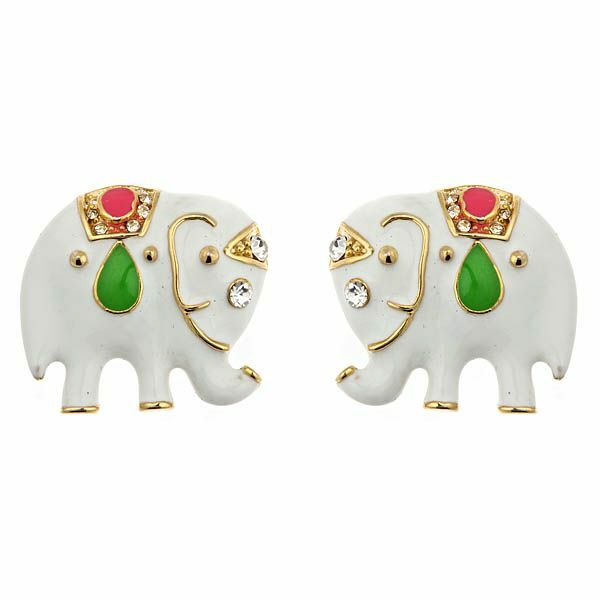 A simple summer shift dress, classic pony and these precious little elephant earrings, and end it with a pair of Bernardo Miami sandals. Classy summer look. 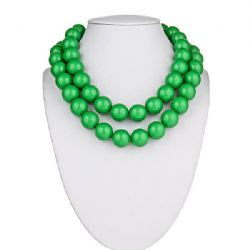 These are again by Fornash www.Fornash.com and called the Candy Necklace, it's a double strand, inside strand is 13 inches and the outside strand is 15 inches. 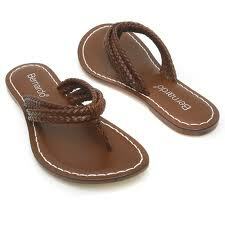 They come in 7 different color choices and are only $30.00. I love the idea of a pop of color. Plus its fun and bit unexpected. I adore bamboo bracelets. These are also available at Fornash. I am NOT and would NOT suggest you wear the jewelry I am showing here all at the same time. These are pieces I love for summer. Two classic sunglasses for summer. 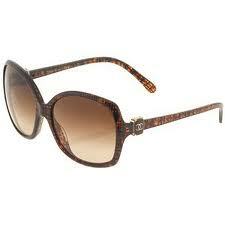 Channel Tortoise and Ray Ban Aviators I have had some of my Chanel sunglasses for years and still love and wear them tons. 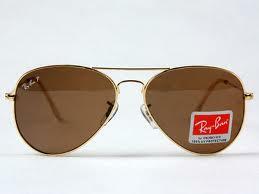 Ray Bans are timeless, as long as you don't lose and you take care of them you can use the same pair for years. I am addicted to sunglasses. I wear contacts. Actually everyone knows, big sunglasses help hide late night blogging bags and dark circles. What's not to LoVe? I have to order Little Einstein a belt. 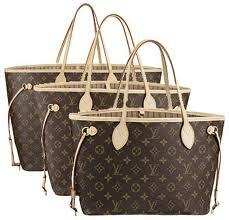 I have this bag (Louis Vuitton Neverful) and like it so much that I have in two sizes the largest and the smallest. Obviously I really like it, but I live in a small town and I swear every time I turn around I literally bump another woman hitting her with my purse when I realize Oh, she has the same one. It's practical, easy to use, a classic shape (but only a few years old for LV), and it's not that expensive (for Louis Vuitton). 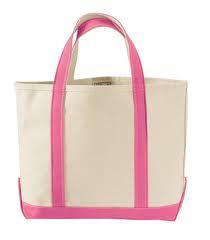 It's a great bag for toting around tons, but don't spend the money if your after originality. It's the new speedy bag and as they always say ....is the best form of flattery. - Imitation is the best form of flattery). I know, I know, my spelling is horrible and my grammar is at best atrocious. I think faster than I type, and click faster than I should when spell checking. Sorry, love or leave me. Don't forget to get your monogrammed cups. Ours are monogrammed with the Judges initials on one side and mine on the other. I should have grabbed the brighter colored ones. Nothing keeps my diet coke colder. If you need some personalized cups (all sizes available) contact me. These are some of my summer fav's. Love it all! 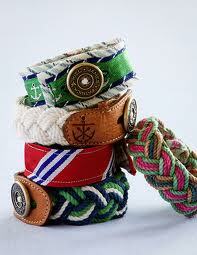 I'm ready for summer to arrive, and might need to get another KJP bracelet. Love all of these! Thanks for all the favorites. Where did you get the monogrammed cups? Your blog is creative and sometimes intense and thougt provoking. In fact, when I moved here you inspired me to start a blog so I appreciate that you are so willing to share ideas. I am concerned about your well being because I have experienced similar issues when I moved here and it has been devastating. I'm not at the outward mad phase, but getting there. On a lighter note, I have two challenges for you: 1)find a deserving person and do a complete makeover - fashion and makeup; and, 2)show us some great finds from Walmart in fashion or home. Yes, I said Walmart. We all shop there for the mundane cleaning or grocery items. I think it would be a real challenge and over the top to see what you see with your creative eyes. Keep writing! I'll email you both cup information. Thanks, for the great comment. The two part challenge sounds like fun. Any suggesstions on how I find a willing participant??? Don't worry my mental health is good, and I'm not mad, getting everything out and writing about it in a slightly silly/funny way has been the BEST. The crazy that is my life is also hiliarious. email me at Tikaa@sbcglobal.net and I will get the cup information to you.